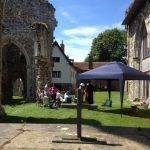 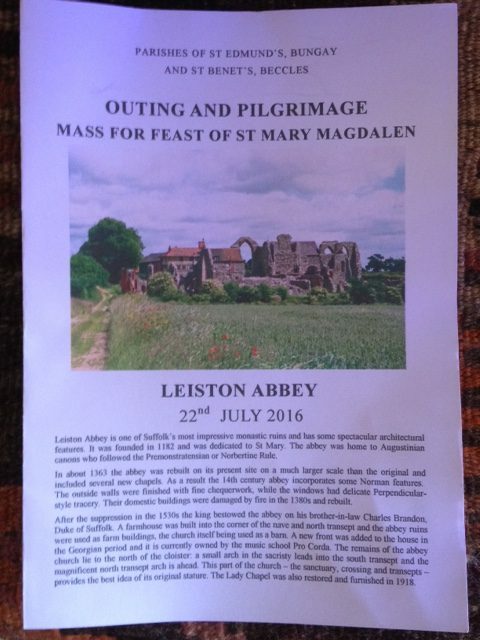 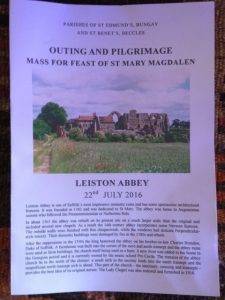 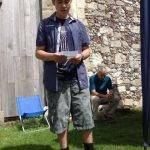 Some thirty parishioners from Bungay, Harleston and Beccles gathered on a perfect summer day to celebrate the feast of St Mary Magdalene (22 July) and to enjoy themselves in the ruins of Leiston Abbey. 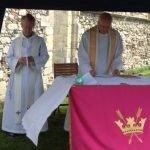 The Mass was offered for the people of France, and there were special bidding prayers for the many places of the world suffering from violence and upheaval at this time. 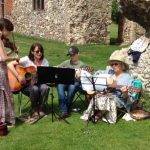 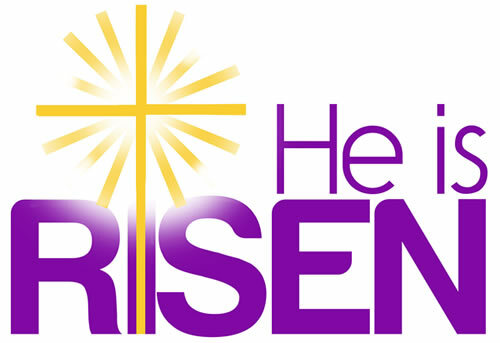 The hymns were accompanied con brio by Caroline Coles and her group. 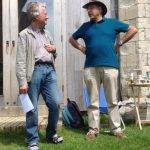 After Mass everyone enjoyed a picnic lunch, and shared a cake in honour of Francis Locke’s 80th birthday. 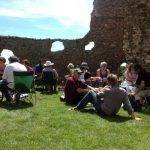 In the afternoon some parishioners attended the concert by the Pro Corda Chamber Music Academy, who own part of the site, while others (including Father Charles and six of the children) chose to swim off Sizewell.